Dr. Sarah Teasley is Head of Programme for History of Design at the Royal College of Art in London, and a specialist in modern and contemporary Japanese history. Teasley’s research employs the material history of design and manufacturing to offer perspectives on issues in design, society and technology today. Much of her work has concerned policy implementation and its impact on everyday experience, and how subjective experience and design shape and reflect our relationships with technology. Her current book project explores relationships between state organisations, furniture manufacturers, materials scientists, technical educators and the designers who mediated between these communities in twentieth-century Japan. Teasley’s publications include the books Global Design History (Routledge, 2011) as well as numerous journal articles and book chapters on modern Japanese design, architecture and material culture. She is Associate Editor of the journal Design and Culture. She holds degrees from Princeton University, Musashino Art University and the University of Tokyo, and taught previously at the University of Massachusetts Dartmouth and Northwestern University. She is the recipient of grants and fellowships from organisations including the British Academy, the Arts and Humanities Research Council, the Japan Society for the Promotion of Science, the Association of Asian Studies and the Design History Society. Teasley is an active advocate for history’s contributions to design practice and policy-making. She consults for public and private organisations and runs workshops on public-facing, practice-based history through design and material culture. Sarah Teasley, Head of Programme for History of Design, Royal College of Art, explores relationships between state organisations, furniture manufacturers, materials scientists, technical educators and the designers who mediated between these communities in 20th-century Japan. From the middle of the nineteenth century, Japan, like the rest of the world, was shaken by the transformations that followed its encounter with industry and empire. The country entered a new era, named after the Meiji emperor, and embarked on an ambitious programme of modernization, centred on Tokyo, its new capital. The UK-Japan Lecture Series, consisting of six lectures held in the UK and Japan, will explore the upheaval, as it played out in the people’s understanding and experience of art, nature and the city. How did these come together in shaping the new capital? 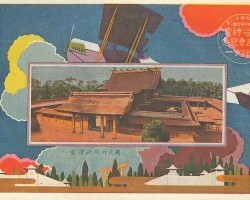 How did the Meiji experience leave its mark on city and country in the twentieth century? And how might we draw on this history as we head towards the second Tokyo Olympics in 2020? This lecture is co-organised by the Sainsbury Institute for the Study of Japanese Arts and Cultures, the Meiji Jingu Intercultural Research Institute and the Department of Asia, the British Museum. The UK-Japan Lecture Series is supported by the Toshiba International Foundation and the Japan Foundation. 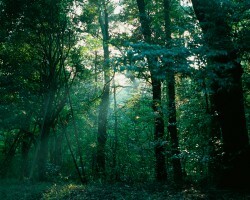 It is co-organised by the Sainsbury Institute for the Study of Japanese Arts and Cultures, the Meiji Jingu Intercultural Research Institute, the School of Oriental and African Studies, University of London, and the Research Centre for Transnational Art, Identity and Nation (TrAIN), University of the Arts London (UAL). 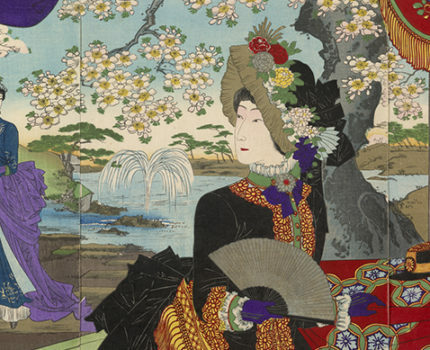 Image: Hashimoto Chikanobu, Dignitaries of the Empire Viewing Cherry Blossoms, 1887 © The Trustees of the British Museum. Purchase funded by the JTI Japanese Acquisition Fund.